Established in 2007 this online portal is a Chinese company that avails its customers with the products that claim to adhere ISO standard. Aims to offer its customers with the quality products, this online portal avail them with the range of options such as Portable Amplifiers, DACs, DAPS, FiiO mp3 player, music player for android, Hi-Res Music Players, Earphones, other Audio Accessories, and much more. Focused on its user’s need this online portal is the one that is inspired to offer innovative and quality products at the cheaper rate. Design to provide users with the best quality. Host A sale for its products from time to time this online portal bestow its customers with various discount and offers that let them save money on their purchase. Subscribe to its newsletter and get daily notification of its ongoing offers and grab the one that helps you to save on your purchase. Get Rs.300 OFF on FiiO F1 Earphone with Mic. Buy FiiO F1 dynamic in-ear monitors with the mic at a very low price and get Rs.300 discount. To avail this offer use the given coupon code at final payment. Coupon code is valid once per user. Shop FiiO Q5 Bluetooth and DSD-Capable DAC & Amplifier and get a discount of Rs.1500. Use the given promo code at final payment. This product can only be purchased with an online payment. Offer is valid for limited period. Let our 'Cores' move your high-resolution lossless Audio Player. Purchase FiiO M7 High-Resolution Lossless Digital Audio Player and get Rs.1700 discount. Enter the given coupon code at the time of checkout. Get snazzy with four vibrant colors to choose from - lack, Silver, Red, and Blue. Don't miss this deal. Want to buy High-Resolution Lossless Music Player? Buy FiiO X3 Mark III High-Resolution Lossless Music Player at a very low price and get Rs.1300 discount. Grab the coupon code to redeem this offer. Offer is valid once per user. Are you looking for a Portable Amplifier? Shop FiiO K1 Portable Amplifier & DAC and get a discount of Rs.200. Coupon code is also available to enjoy the deal. Please visit the offer page for more details. Visit the store and enjoy Rs.500 discount on FiiO X1 2nd Gen High-Resolution Lossless Music Player. Apply the given coupon code at the time of checkout. Select from the color Red, Silver, Rose Gold and Black shown on the offer page. Coupon code is valid once per customer. Buy FiiO F9 PRO Triple Driver Hybrid IEMs With Mic at just Rs.10,990 and save the money. Coupon code is also available. Hurry to avail this offer before it ends. Fiio is giving you Independence Day Sale. Get up to 40% off on online shopping. 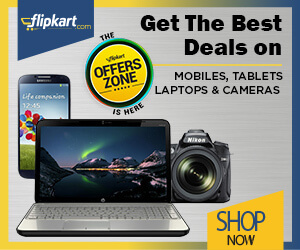 offer includes various categories earphones, music players, AMPs & DMPs shown on the offer page. Discount may vary from product to product. Now avail a discount of Rs.300 when you buy Fiio F3 Dynamic In-Ear Monitors with Mic. You can select from the color Red, Blue and Black shown on the offer page. Grab the coupon code to redeem this offer. Limited stock available.